Fred Bennett leaves the planet | Jon Katz, P.C. Sadly, this past Sunday, Maryland criminal defense lawyer Fred Bennett passed away after a two-car collision. I always wanted to meet Fred, but somehow the opportunity eluded me, perhaps partly because I did not even know what he looked like until recently. Fred was a true fighter for criminal defendants, with his battles for justice including serving as the District Public Defender for Prince George’s County, Maryland (where I worked for two years when he already was Maryland’s federal public defender), the Maryland Federal Public Defender, and name law partner with former adversary and Maryland solicitor general Gary Bair. 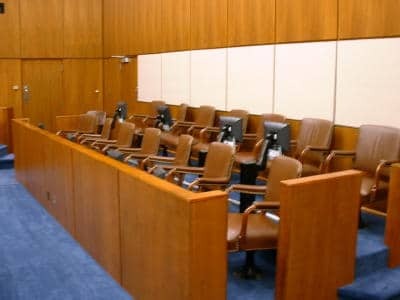 "The appointment of public defenders in many judicial districts by federal judges ‘creates a serious problem of perception and provides the opportunity for occasional abuse,’ a committee of judges and lawyers appointed by Chief Justice Rehnquist reported.258 One example is the refusal in 1992 by the United States Court of Appeals for the Fourth Circuit to renew the appointment of highly respected federal defender Fred Bennett, after eleven years in office.259 The judges apparently did not like the aggressive advocacy of Bennett and his assistants, but it may be fairly questioned whether this action promoted the best interests of the clients served by the federal defender or whether the judges disagreed with the zealous representation of poor people." An aggressive fighter, Fred also cared much about courtroom civility: “Many young lawyers seem to have forgotten that you need to be an advocate for your own client, but also treat your opponent and court personnel with dignity and respect. There are still are a lot of prima donnas out there" “You have attorneys with 15 years’ experience who still have problems. The most precious commodity a lawyer can bring to the table is credibility. If the court perceives you as playing ‘fast and loose’ with the law or the facts, you’re more likely to lose close cases." As much as treating opponents respectfully is important in and of itself, I focus my attention on calm firmness with opponents for the t’ai chi benefits it gives my clients. Fred urged lawyers to provide service beyond their time spent to earn income. This has always been very important to me, and requires discipline, balance, and passion to accomplish both. His hard work included fighting the death penalty machine; I have tremendous gratitude and respect for lawyers on that path. As with all great people who leave the planet, Fred lives on in abundant ways.